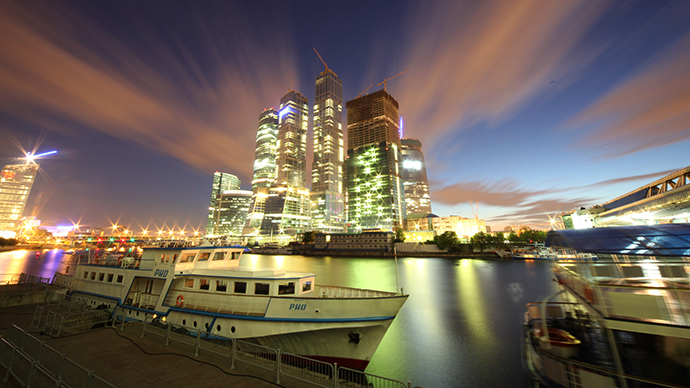 Despite lackluster growth, 2013 was full of big deals and surprises for Russia. Putin released former oil tycoon Khodorkovsky after 10 years in jail, the first female central bank chair launched a massive ‘clean-up’, and much more! RT Business picks the 10 most exciting events that made Russian business in 2013. Once Russia’s richest oil man, Mikhail Khodorkovsky was pardoned by President Putin and released from prison. The former Yukos company head spent 10 years in prison for economic crimes including embezzlement and tax evasion, but was freed on humanitarian grounds as his mother is ill. Hours after his release from prison Khodorkovsky landed in Berlin, saying that he had no plans to come back to Russia or get back into politics. Because of a lawsuit concerning his first $550 million case which hasn’t been closed, Khodorkovsky said he worries Russian authorities may decide to ban him from leaving the country. Though the move didn’t spur immediate investor reaction, it signals that President Putin is serious about improving the perception of risk in the Russian economy, as well as returning foreign investment and cracking down on capital flight. Boris Berezovsky, once Russia’s richest individual who helped bring both Yeltsin and Putin to power, died at age 67 in London in a hanging incident. Berezovsky immigrated to London in 2000, after he was politically, economically, and socially exiled from Russia. There, he lived on the verge of bankruptcy in his ex-wife's mansion. Berezovsky claimed he was worth $4 billion in 2007, and Forbes featured him in their rich list in 2009 with an estimated worth of $1 billion. In 2012, he sued, and lost a $5.6 billion civil lawsuit against former Sibneft partner and compatriot Roman Abramovich, which added to his mounting financial debt. The tycoon dabbled in many different business sectors- from Russia’s largest television channel to Lada, the iconic Russian car-maker. Along with Abramovich he bought one of Russia’s biggest oil producers, Sibneft, for a nominal sum of $100 million. He has been accused of embezzlement and extortion by Russia’s largest air carrier Aeroflot. Rosneft became the world's largest listed crude oil producer in March after acquiring TNK-BP in a $55 billion deal, which added about 9 million tons of oil to the company’s production output. Since the deal acquisition, the oil-magnate has been picking up many independent Russian producers as well as ramping up crude and LNG ventures in Vietnam, China, Venezuela. Russian oil output, the largest in the world, reached 10.61 barrels per day in November, a post-Soviet record. A 42-year-old man from Voronezh, a small city located 500km south of Moscow, made headlines when he tricked Russia’s largest online bank by writing his own small print and then later sued for $727,000 (24 million rubles) when the bank terminated his contract. He simply scanned the bank’s application form, amended the bylines to include a credit line, 0 percent in interest, no bank fees, and no tariffs. The bank certified the doctored document, and issued him a credit card. Agarkov settled with founder and head Oleg Tinkoff outside of court. In response, the State Duma has proposed legislation that will ban illegible or too-small-to-read small print on credit card contracts. Russia's most popular search engine Yandex co-founder and CEO Ilya Segalovich, 48, Yandex founder, died at the age of 48 on July 28 in London, after a long battle with cancer. Segalovich founded the company 15 years ago with a close childhood school friend, Arkady Volozh, and owned 2.5 percent of Yandex shares, worth about $250 million at the time of his death. The company, which had its IPO in New York in 2011, is worth an estimated $10 billion. Elvira Nabiullina, the first female boss of Russia’s Central Bank, has been quick to usher in a new era of financial transparency. Since June, under Nabiullina’s tenure, 29 Russian banks have had their licenses revoked by Russia’s main lender, compared to just 16 last year. Many of the banks being closed are suspected of “dubious” activity, others have “weak capital”. The massive banking “clean-up” was a major hit for the country’s Deposit Insurance Agency, which had to pay back a record $1 billion to customers after Master Bank was closed in October. Much of 2013 has been spent preparing for the 2014 Sochi Olympics, which will be the most expensive Winter Games, with a price tag near $50 billion, six times more than the original $12 billion. The Black Sea resort city was frequented by Soviet leaders, and billions of investment have been poured into the Games. Russian Railways spent $8.7 billion on a railway and road to link the coastal and mountain Olympic villages. Russia’s state-owned lender Vnesheconombank issued loans worth $7.5 billion to investors overseeing construction projects to prepare for the thousands of visitors expected in the south resort town in February. The XXII Winter Olympic Games run February 7-23 are expected to boost winter tourism within Russia. Many of the Olympic venues will be reused for the 2018 Fifa World Cup. Russia’s largest potash producer, Uralkali, broke off cooperation with Belaruskali on July 29, which before the break up controlled 40 percent of global potash exports and effectively decided prices in the $20 billion market. This instigated a nearly four month ‘potash war’ which resulted in a major shareholder shake-up, an imprisoned CEO, and a souring of Russia-Belarus relations. Tensions were soothed when Russian billionaire Mikhail Prokhorov’s investment arm ONEXIM bought Suleiman Kerimov's 21.75 percent majority share, valued between $4 -5 billion. After the deal was brokered, Belarus extradited CEO Vladislav Baumgertner, who was arrested in Minsk in September for trying to go at the business alone. Prokhorov later personally purchased a 27 percent stake in the fertilizer company. Uralchem, a fellow Russian fertilizer company, bought a 20 percent share (valued at $2.9 billion), and on December 23 Uralchem's Dmitry Osipov took over for jailed Baumgertner as CEO of Uralkali. In late December the new owners of Uralkali said they were to resume cooperation with Belaruskali, which means the world's biggest potash exporter is expected back to the market in 2014. President Vladimir Putin successfully swung Ukraine’s economy back towards Russia’s orbit by offering to buy $15bn of Ukrainian debt and offering a $3.5 billion gas discount on behalf of state-owned Gazprom. The deal fell short of discussion of Ukraine’s ascension into the Russia-led Customs Union, as Yanukovich must appeal to massive pro-EU sentiment at home. Russia will buy $15 billion in 2-year bonds, which have a credit rating of B-, much lower than the AA credit advised in order to help Ukraine’s desperate financial situation, an economy on the brink of default. The EU was only able to offer Ukraine $1 billion in aid if they sided and signed the EU trade deal. Under the promised natural gas discount, Ukrainians will pay $268.5 per thousand cubic meters instead of $400, a nearly 33 percent discount. In an effort to increase liquefied natural gas exports and not lose out to foreign competitors, Russia nixed state-owned Gazprom’s monopoly on LNG exports. Gazprom is Russia’s largest gas exporter, delivers 160 billion cubic meters of gas outside of the former-Soviet Union, and expect to beat last year’s export revenue of $56 billion. On December 2, Putin signed landmark legislation, which opens up the opportunity for companies like Novatek, Russia’s leading independent natural gas producer, and state-owned Rosneft, which both produces and transports a majority of LNG products. Worldwide, Russia accounts for 5 percent of total LNG supply and 30 percent of pipeline deliveries. Gazprom will still be Russia’s pipeline king, as its monopoly on pipeline gas remains intact, but the new law will let other Russian producers ship oil tankers to high-demand Asia.